Heat the oven (with the oven rack in the middle) to 400°F. 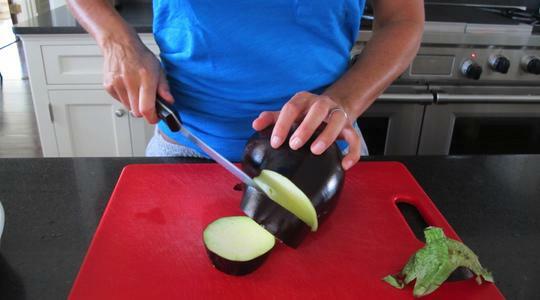 Wash the eggplant (no need to peel). Cut off and discard the stem. 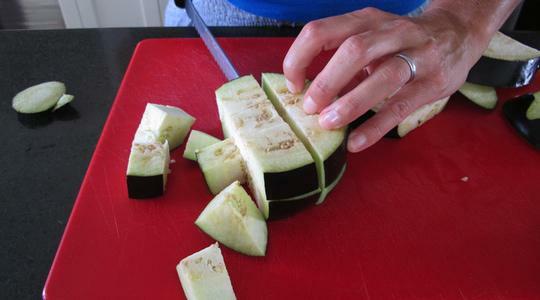 Next, cut the eggplant into 1-inch-thick rounds. 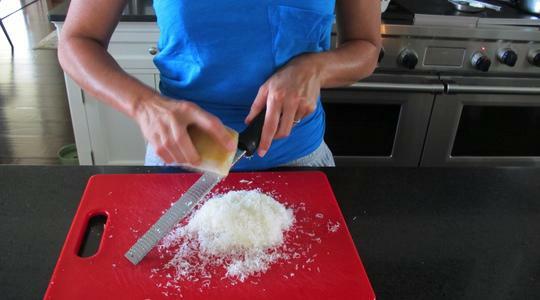 Stack 2 rounds at a time, then cut into 1-inch cubes. 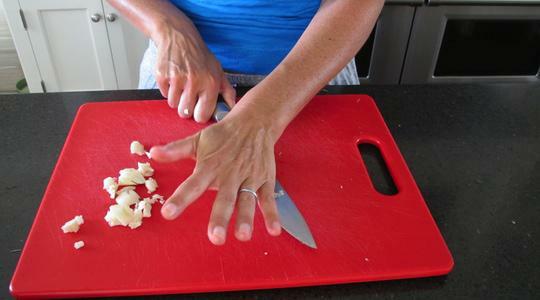 Smash the garlic and peel. 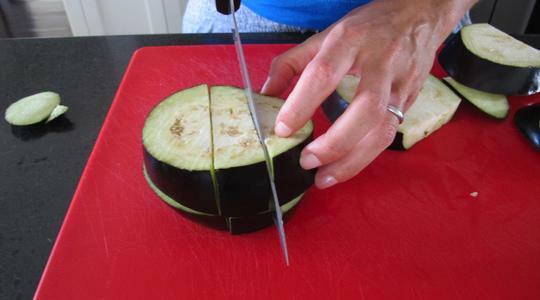 Put the eggplant and garlic into a 2½- to 3-qt. baking dish. 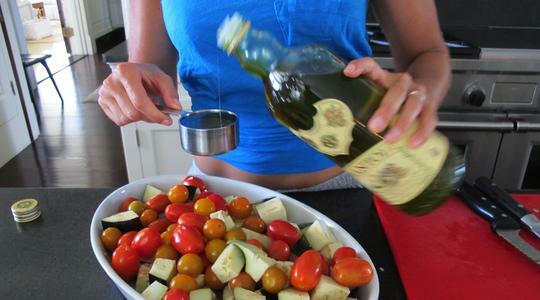 Wash the tomatoes and add to the dish. Drizzle with the oil and sprinkle with the salt, red pepper, and black pepper (about 12 turns on a pepper mill). 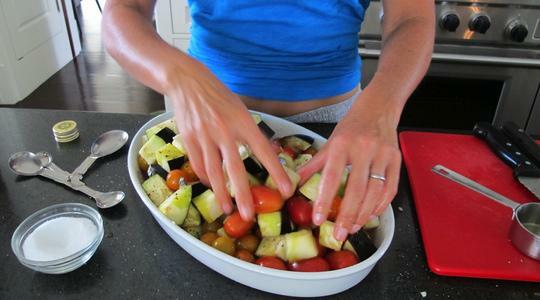 Toss together with your hands until the eggplant is coated with oil (a little overcrowding in the dish is okay). When your timer goes off at 40 minutes, fill a large pot with water and place on the stove, turn heat on to high, and let come to a boil. Put a colander in the sink. 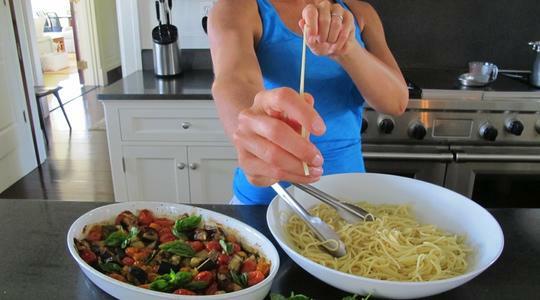 Cook the pasta according to package directions until it’s al dente. 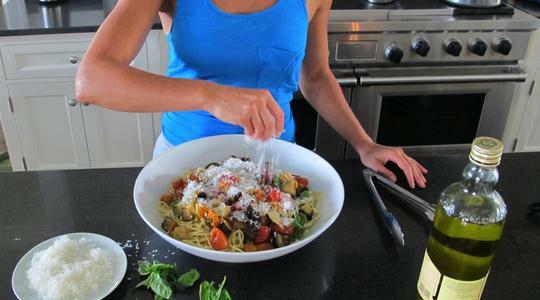 Transfer the cooked pasta to a large serving bowl. 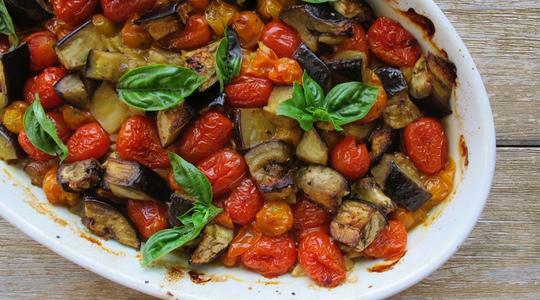 Top with the roasted eggplant and tomatoes and drizzle with a little more oil. 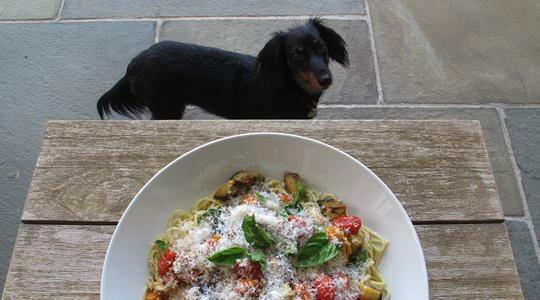 Sprinkle with the Parmesan and basil.